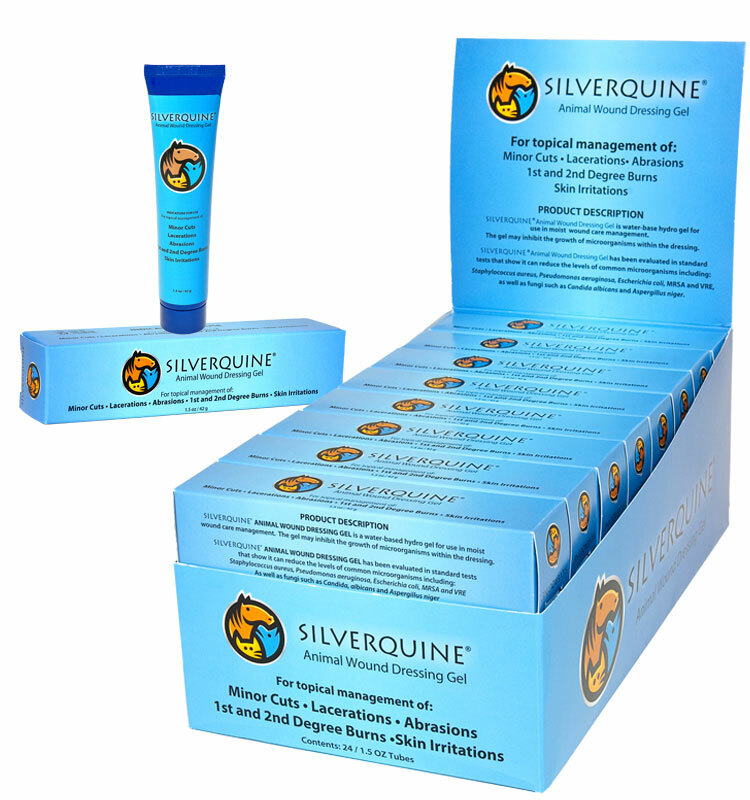 SILVERQUINE ANIMAL WOUND DRESSING GEL is a water-based hydro-gel for use in moist wound care management. The gel may inhibit the growth of microorganisms within the dressing. It is non-toxic and safe for all pets of all sizes including Dogs, Cats, Birds, Horses, Exotic Animals and more. 24 PPM Proprietary Silver Solution (purified water,nano-silver at .01 micron), TEA, Carbomer. Clean wound. Use clean applicator to liberally cover the wound with SILVERQUINE ANIMAL WOUND DRESSING GEL and secondary dressing. See package insert for complete usage information.